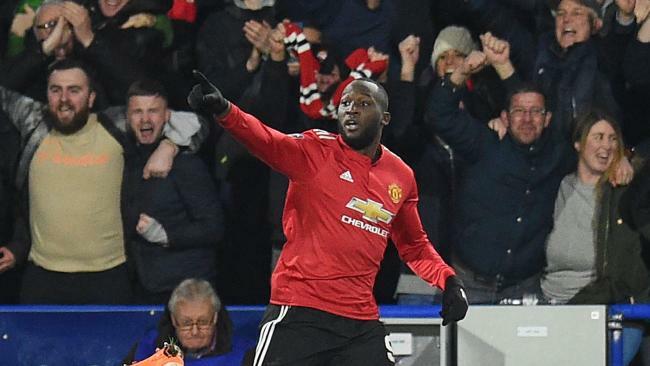 ROMELU Lukaku netted a brace as Manchester United eased into the FA Cup quarter finals, while West Brom's woes continue with a loss to Southampton after Jonny Evans was stripped of the captaincy. It was a routine win for United over an Aaron Mooy-less Huddersfield, Swansea were consigned to a third straight replay, and Brighton's record signing Jurgen Locadia opened his account in their 3-1 victory over Coventry City. Here's a wrap of all the overnight FA Cup action! 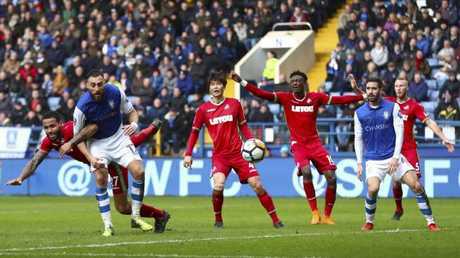 Sheffield Wednesday held Premier League side Swansea to a 0-0 draw in their FA Cup fifth-round match on Saturday as visiting manager Carlos Carvalhal made his first return to Hillsborough since he was released by the second-tier team on Christmas Eve. Carvalhal has had a positive effect on Swansea since joining four days after his departure from Wednesday, with the Welsh club losing once in 12 games in all competitions under the 52-year-old Portuguese. The two teams will now meet in a replay at the Liberty Stadium later this month. Capping a miserable week, West Brom was dumped from the FA Cup by Southampton, a 2-1 winner in the fifth round on Saturday. 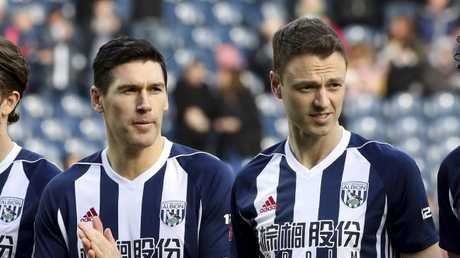 The latest defeat for the English Premier League's bottom club came after four West Brom players faced a Spanish judge following the alleged theft of a taxi during a training camp in Barcelona. Also, the club terminated the contracts of chairman John Williams and chief executive Martin Goodman on Tuesday. Wesley Hoedt was unmarked when he gave Southampton an 11th-minute lead, and Dusan Tadic made it 2-0 with a clever chip over goalkeeper Ben Foster early in the second half. Salomon Rondon pulled a goal back with a spectacular first-time shot with half an hour left but it wasn't enough to save West Brom. 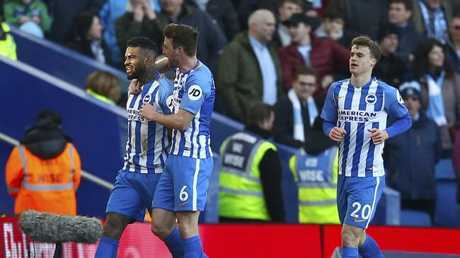 Brighton's Jurgen Locadia scored on his debut in the 3-1 win over Coventry City who, after knocking out Stoke City in the third round, failed in their attempt to make FA Cup history by becoming the first fourth-tier side to beat two top- flight teams in the same season. 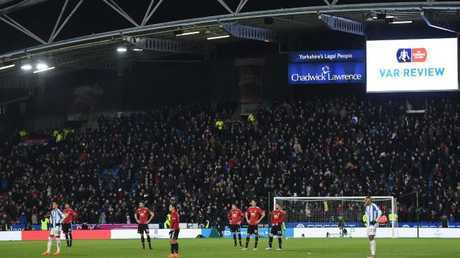 Debate over the merits of video assistant refereeing was again raised as a Romelu Lukaku double eased Manchester United into the FA Cup quarter-finals in a 2-0 win at Huddersfield despite a controversial call going against Jose Mourinho's men. Juan Mata thought he had put United into a 2-0 lead just before half-time only for the Spaniard's effort to be ruled out by the video referee after a lengthy delay, and without conclusive proof the officials on the field had made the wrong decision. Fans raged at the decision as blurry lines added to tv coverage encouraged the notion that the decision was incorrect. Thankfully for United, and the authorities, that decision didn't have a definitive influence on the outcome as Lukaku struck early in both halves to take his tally for the season to 21. Brighton and Southampton were also fifth round victors to join Chelsea and Leicester, who beat Hull and Sheffield United respectively on Friday, in the draw for the last eight later on Saturday.